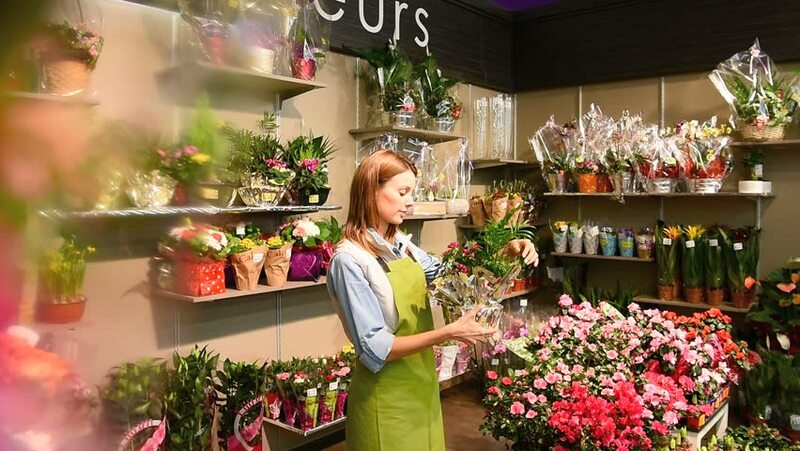 4k00:08Florist in own flower shop, preparing bouquets. hd00:16Rear view of a young florist woman tying up her apron bow while getting ready for working at her flowers store with bouquets and floral gifts, outdoors. hd00:15Rear view of an attractive florist business woman owner getting ready for work, tying up her apron, picking and showing with pride a bouquet of sunflowers, smiling outdoors. 4k00:15Shot from above of a attractive brunette woman working in a flower shop. She is holding phone and writing in a diary.